Ask anyone what’s the first picture of San Francisco they have in their mind: the collective imaginary – also thanks to Hollywood’s cinematographic contribution – will probably describe a city overlooking an ocean that, making its way through the American Continent, takes the shape of a majestic bay, crossed by impressive bridges (who doesn’t now the red-painted, Art Deco Golden Gate Bridge?). 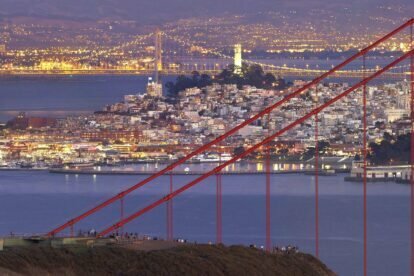 We could say that it is thanks to its geographical position – additionally, it is so astounding that the city always ranks among the Top 10 cities with the best natural setting in the world – that San Francisco became the special and unusual place it is within the American scene. 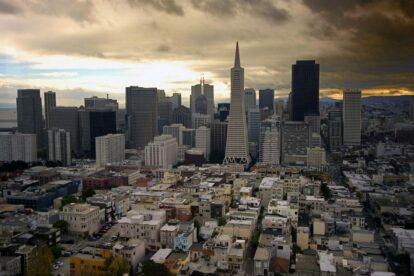 Founded by Spanish settlers in 1776, San Francisco was no more than an outpost on the shores of the Pacific Ocean up until the territory of California became part of the United States – and the California Gold Rush kicked in. By the beginning of the second half of the 19th century, San Francisco had become a bustling urban centre where treasure seekers, adventurers and criminals flocked to make their fortune. The town quickly grew into a a city, and by the end of the century San Francisco stood out for the flamboyant lifestyle of its upper class and its lavish public buildings and private mansions. 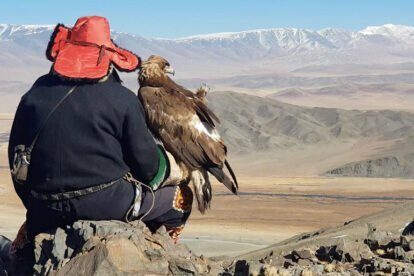 Indeed, while its privileged location had proven to be one of its major strong points, it quickly turned out to be one of its major weak points too. 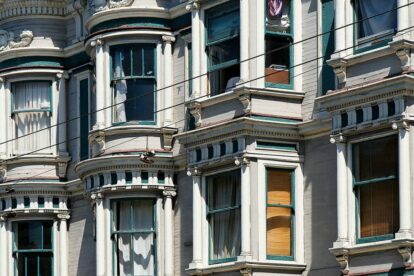 Located right next to the San Andreas Fault, in 1906 San Francisco was shaken by an extreme earthquake, that claimed thousands of lives and razed the city to the ground. The cataclysm didn’t discourage its inhabitants: the city was quickly rebuilt. The proactive attitude and bravery of the citizens of San Francisco further showed in the decades to come: In the 50s and 60s a citizenship-led opposition prevented the construction of large portions of freeways, that would have inevitably threatened San Francisco’s urban fabric and cityscape. Further waves of immigrants, the return of soldiers from the Vietnam War and other factors permitted the rise of the “hippie” counterculture and the Peace Movement and the gay rights movements. Indeed, San Francisco is a city that seems to excel under several aspects and has an innumerable number of resources. 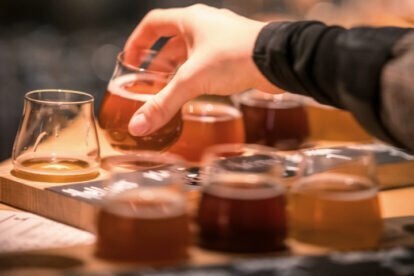 As our Spotter Stefanie wrote, San Francisco is a snapshot of California contained in 7 square miles: you can hike mountains, go to the beach, and eat at a hole-in-the wall pub or a world-famous bistro, all in the same day. Do you need any more reason for a stopover in San Francisco? Even if only for 48 hours? As a local, of course. As said above, San Francisco is a proud holder of many records. 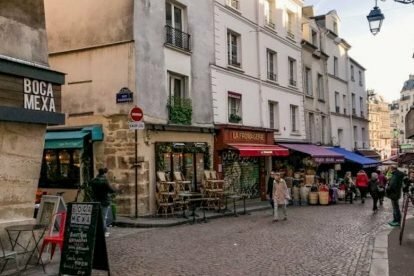 Among them we have not mentioned the fact that it also has the highest number of eateries per capita: locals know that every day they might discover a new cafe or restaurant they didn’t know about before. Not long ago, while wandering around the Russian Hill area, our Spotter Keith happened to find Firehouse #8. As the name suggests, this place was once a firehouse that has now been reconverted into a place hosting pop-up events, speeches, brunches and much more. 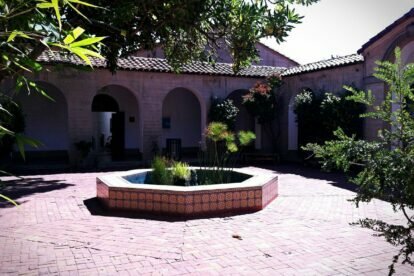 Just a bit further north and close to North Beach, you will find a pleasant alternative to Firehouse: the main campus of San Francisco Art Institute. 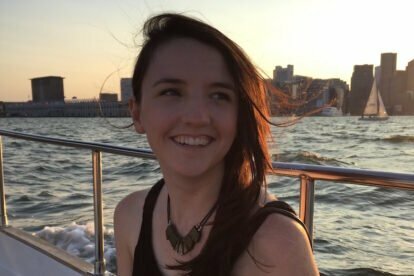 It’s open to the public, so you can go there and wander around with the creative crowd of art students and have a coffee while enjoying the view of the bay from its rooftop cafe. Not far from this spot, the old army post of Fort Mason is home to the Mexican Museum of San Francisco. 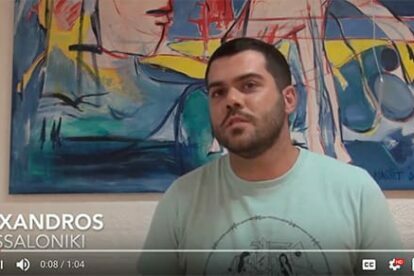 Its permanent collection is fascinating, and the museum also hosts rotating exhibitions and several other events throughout the whole year. And when the time to venture into San Francisco’s downtown area comes, be sure to take one of its famous trams. Running from Fisherman’s Wharf to the heart of the city, San Francisco’s F-line rolls along the waterfront and will give you another opportunity to admire the panorama of the bay from its windows while you have a vintage, unforgettable ride. It doesn’t matter which day you’re in town, there’s will always be a food market going in San Francisco. If the weather is sunny and the temperature mild, markets are always a great place to hang out and have a tasty bite. 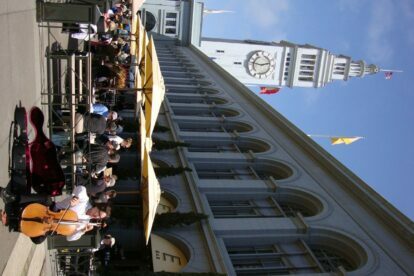 Among them, our Spotters suggest the Ferry Plaza Farmers Market and the Heart of the City Farmers Market (the first one runs on Tuesdays, Thursdays and Saturdays, while the second one is open on Wednesdays and Sundays). The Ferry Plaza Market is beloved by our Spotter Robert for its cheap oysters, garden seedlings and apple cider. The Heart of the City Farmers Market is the only independent non-profit farmers market in San Francisco, and that’s where Spotter Nadine suggests you go if you want to eat local and have a friendly chat with the farmers. 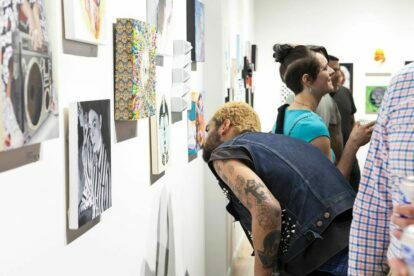 For some art, further up north in the Tenderloin, an historic neighbourhood of downtown San Francisco, you’ll find the funky Gauntlet Gallery, which you will find particularly interesting if you like artists following the steps of Basquiat and Fairey). 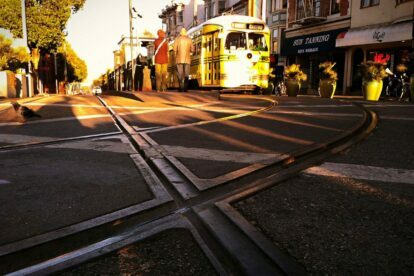 The Tenderloin is relatively close to another area that you can’t miss out on: throughout its history San Francisco has been a privileged destination for Chinese immigrants, so it doesn’t come as a surprise that its Chinatown is the oldest in the US and the largest Chinese community outside of Asia. Chinatown is your heaven if you are seeking to rummage through an infinite choice of funny and cheap items. Searching for unique and peculiar silly gadgets? Then visit the three-floored Bargain Bazaar. If you shopped for Chinese, you might now consider eating Indian/Pakistani. Shalimar will welcome you with its homey atmosphere and spicy dishes. Anything is worth trying – but don’t forget to bring your own booze, as they don’t serve any. If you want to switch from Asian to classic American, instead you might opt for Zuni Cafe. The restaurant has been operating for nearly four decades, and it’s not the cheapest option in terms of prices, but it does offer Californian cuisine at its best. Otherwise, if you’re not tired yet and you’re crazy for sciences (yes, sciences), San Francisco has quite a few good evening options prepared for you. 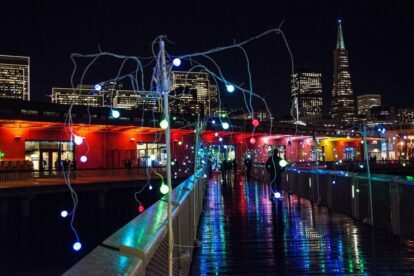 On Thursday nights, the Exploratorium of San Francisco hosts an event called Exploratorium After Dark, where you can experiment with different kinds of scientific principles. 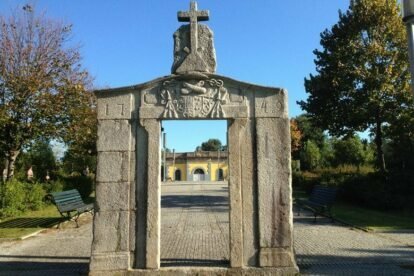 The place is enormous, and each night differs in theme and hosts various exhibitions. Unfortunately for you, also on Thursdays, the Cal Academy of Science hosts its Night Life event. Daily exhibitions and the Planetarium are open, and on top of that there’s always a wide range of events going on. In both cases bars for drinks and nibbles are operating too – you can be sure you could spend your whole evening having fun with science! There’s one word to define the climate in San Francisco: indefinable. Sometimes rainy, but often cold, foggy and windy, the weather might also be one of the reasons why there are not many venues with an outdoor space (finally a weak point! ); one of the few exceptions is The Tipsy Pig. Also a restaurant, the Tipsy Pig has good cocktails and crafted beer. Alternatively, Vesuvio doesn’t have an outside area and therefore won’t give you the occasion to challenge the sudden streams of air. 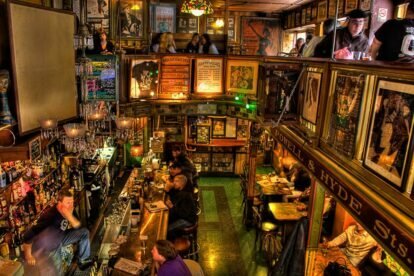 Once a favourite spot of the Beat Generation, Vesuvio retains an artsy, creative atmosphere and a nice wooden interior. One of the best things about holidays is that you can enjoy your breakfast without being in a rush. American breakfasts are tasty, and often massive. Kitchen Story is one of those restaurants where you should be ready to stuff your belly, definitely a must-go according to Sasha. The food is simply fantastic. Kitchen Story is a good starting point if you want to start exploring the Mission District, a lively and artsy neighbourhood that hosts the oldest building in town, Mission Dolores. 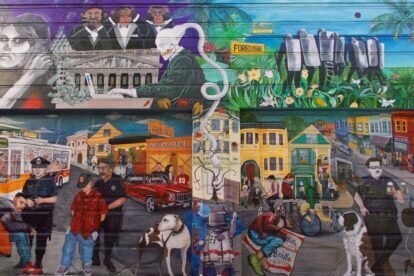 Historically, San Francisco has been a fertile ground for muralists (Diego Rivera, one of the most talented and well-known ones, worked a lot in the city), and especially the Mission has gained quite a reputation for its street art, much influenced by the Latin roots of many of its inhabitants. Find Balmy Alley, and take your time to look at the murals, a visual manifesto of the social and political abuses the Latinos suffered from both in Central America and in the United States. The whole area has a lot more murals, and if you’re willing to see more of them, our Spotter Stefanie organises a guided tour through the neighbourhood. Rigo 23‘s murals can also be found in San Francisco’s streets, scattered all around town but in particular in the Tenderloin and the SOMA (South of Market) area. 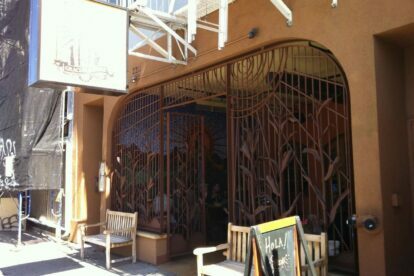 Surprise surprise, the Mission District is also well-renowned for its Mexican cuisine. Want to try to an alternative Mexican restaurant? Follow Steven‘s tip and take a seat at Gracias Madre. Its creative chefs reinterpret traditional Mexican food in a vegan version. After some food you could always get lost in the humongous warehouse that hosts Stuff, a gaudy vintage furniture store packed with pieces from the last decades onwards. 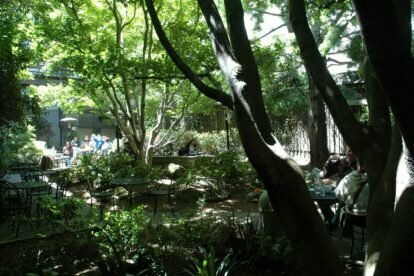 On the other hand, in case you’re searching for a less noisy atmosphere, Arlequin Cafe has a wonderful, leafy inner patio where you can relax; its menu offers both elaborate dishes and more simple ones, but all of them are equally tasty. Arlequin Cafe’s neighbourhood, Hayes Valley, is a mix of tenements, old townhouses and fancy bars and boutiques. Within its boundaries Patricia’s Green, a peaceful green space, is the ideal stop for some rest before starting to wander around its quickly gentrifying surroundings; you should pop over to Nancy Boy, a store specialised in artisanal skin care products, all produced and tested (not on animals) by its owners. 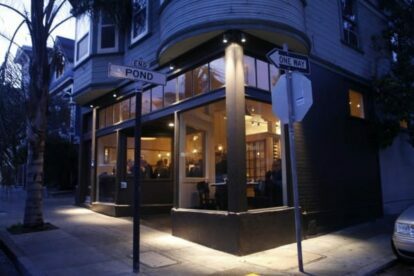 Dinner might take you back to bordering Mission, where Flour + Water opened a few years ago. 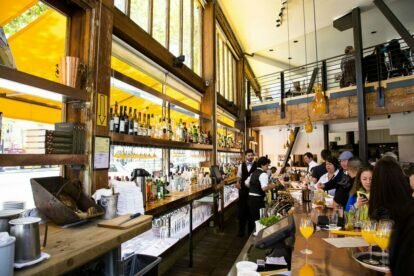 The restaurant has become pretty popular in San Francisco’s scene for its Italian cuisine with an inventive twist. 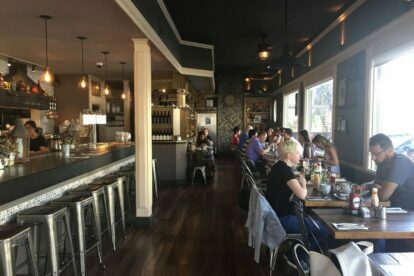 As a second option, in the nearby Castro district, probably the most well-known gay neighbourhood in the whole world, Frances‘ comfortable atmosphere is an excellent choice for food and wine (they have a really long list). 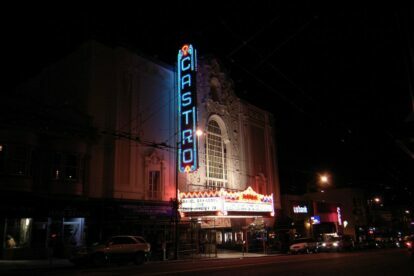 Also, Frances is a few blocks away from Castro Theatre – you should go see the building itself even if you’re not up for a film or music night. Their lineup consists of classic movies and musicals and, based on the time of the year, it also hosts film for the San Francisco Film Festival. For big fans of jazz, SF Jazz Center in Hayes Valley has quickly established itself as an exemplary venue for local and international musicians. Jazz music performances run the show here, but the space hosts other music genres’ events quite often. Who says you should take a break from video games when travelling? 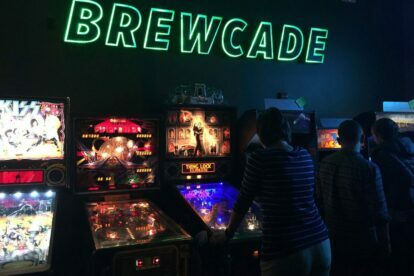 Have a pint at Brewcade and test your ability with the undisputed protagonists of this bar: your childhood arcade games (i.e. pinball!). If game noises and dazzling lights and colours are not what you’re after, go for the dim-lit 50 Mason Social House, a bar off Market recently discovered by Luc. You’d better be a fan of beers, they have more than twenty of them on tap. Whatever comes along after drinks, this is on you. But let’s imagine that your last night in San Francisco has been a roaring one: dawn is at the door, and you’re jonesing for munchies. 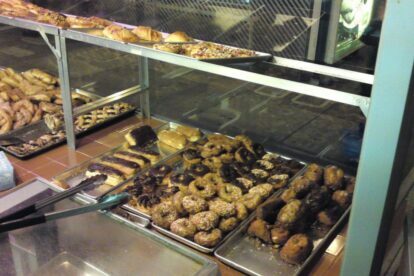 Well, Bob’s Donuts in Russian Hill is open 24/7. The best thing about this sweet heaven is that their donuts are as delicious as they are simple. Grab a black coffee, the strongest ones might want to walk the city’s streets one last time and end up on the waterfront. The bay is glittering in the early morning lights and the city is waking up. You can see the islands and the bridges, too. Is there a better way to say bye to San Francisco and its stunning setting? For more always up-to-date tips by our San Francisco locals check our San Francisco Blog, or download our 100% offline app.